The Crystal of the Day for Friday 6 December 2013 is Green Calcite which corresponds to Venus, Friday’s planet. Calcite is a powerful amplifier and cleanser of various types of energies. Draw money and prosperity by burning green candles placed around green calcite for a short while each morning. 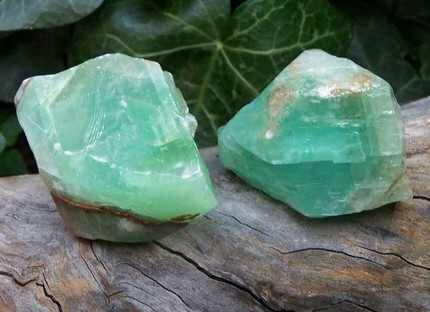 Green calcite can assist in dissolving old rigid belief systems, restoring balance to your mind. It aids any transition from a stagnant to a positive environment. It is also used to stimulate the immune system and absorb negative energy (such as arthritis and bacterial infections). Crystal Healers use it with bone adjustments, and constrictions of the ligaments and muscles. It is also said to help the kidneys, spleen and pancreas. Removes toxins from the body and alleviates mental fear. Aids in mental clarity, soothes anxiety, calms turbulent energies. Expands awareness, aids intuition, links parallel realities. Good when undertaking mental change. The Crystal of the Day for Saturday 16 November 2013 is Cuprite. 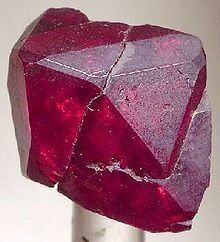 Cuprite is a red to brown mineral with high copper content. Metaphysical lore says that it is helpful for reducing worries about things one has no control over, awareness, teaching, and delivering spiritual messages. Cuprite is associated with kundalini energy as well as opening the flow of the base (root) chakra, the solar plexus chakra, and balancing the heart and base chakras. As a root chakra stone, it is considered very grounding and stabilising. It is associated in traditional and mystical lore with will power, security, confidence, sexuality, mortality, and masculine energy. Mystically it is used to recall and examine past life experiences. It has been historically said to help heal one’s relationship with their father. Traditional folklore and crystal healing lore purport that cuprite is helpful for healing problems with the thymus, heart, blood metabolism (especially imbalances), muscle tissue, skeletal system, oxygenation of the blood, stamina, kidneys, menstrual cramps, vertigo, water retention, vitamin absorption, addictions and alcoholism.